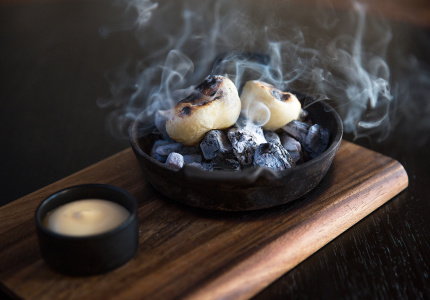 Adelaide meets Africa to create a singular restaurant unlike anything seen before … on any continent. Someone in the audience, it would seem, has eaten at Africola, the high-flying, high-volume, kind-of African Adelaide restaurant owned by designer James Brown and chef Duncan Welgemoed (VEL-ge-moot). The dish – arguably undersold on the menu as “crispy eggplant, chilli & shallot sauce” – probably won’t ring bells with those who eat African food. As a matter of fact, its genealogy won’t be familiar to those who eat food, full stop, largely because it’s a dish you’re not likely to find a recipe for in any cookbook, African or not. Yet, somehow, the dish is inarguably African in spirit and taste. 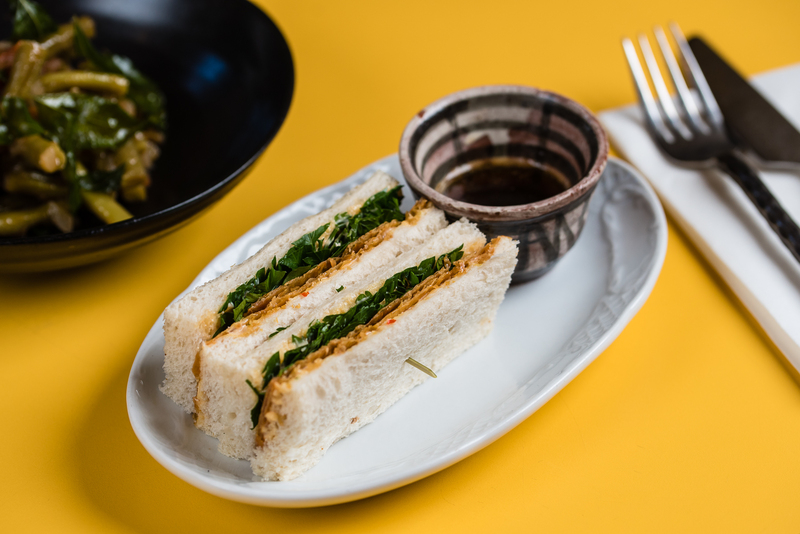 Its inspiration is the famous fried eggplant created by Victor Liong at Melbourne’s Lee Ho Fook, yet the zip of the chilli jam is a nod to Italy – in particular, the island of Sardinia, whose history is tied to the story of the Maghreb, a region in the north of Africa that currently informs Africola’s direction. 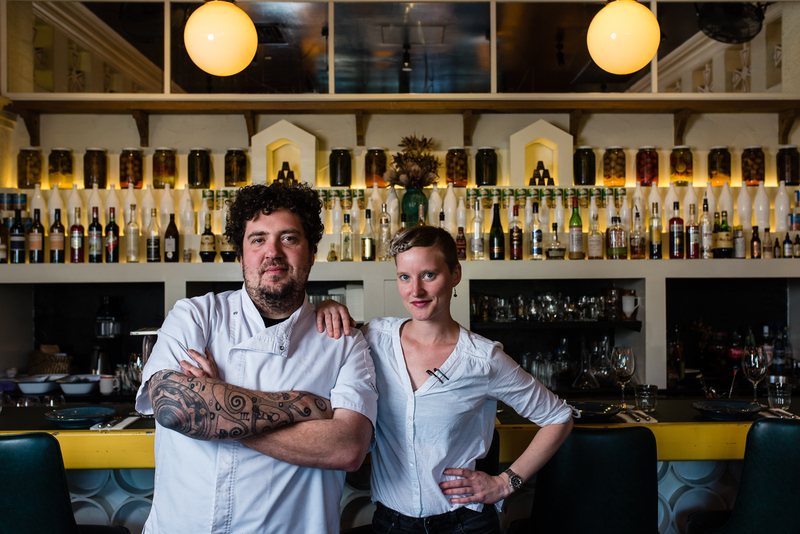 And because Welgemoed is the kind of person who gets his jollies flipping scripts, he’s working with Shannon Martinez (head chef at Melbourne vegan restaurant Smith & Daughters) on developing a nut-based replacement for the cheese, so vegans can enjoy the dish. All just par for the course for your friendly neighbourhood kind-of African restaurant. Reacting to his surrounds seems to be a constant in Welgemoed’s career. I first encountered his cooking in 2011, when he had just taken over at Bistro Dom, an Adelaide restaurant doing a fine line in bistro classics. It was precise, generous food that spoke to our protagonist’s time at the two-Michelin-star Le Manoir aux Quat’Saisons as well as Bray’s The Fat Duck while in England. But before he was shaking the pans and nitrogen-poaching all the things with old mate Heston, Welgemoed cooked alongside his father, Peter, a chef toying with modernist food in the ’80s and ’90s. Our boy’s mother, meanwhile, was another strong food influence and still plays an active role in her son’s cooking: every December she travels to Australia to make a batch of Africola’s peri-peri sauce. Just as the recipe for Coke is entrusted to a select few, Welgemoed is the only person at the restaurant who knows the sauce’s exact mix (“There are scud chillies in it; that’s all I’m going to give away,” he offers). Yet by his own admission, he’s only “90 per cent of the way there” because – look away, Mrs Welgemoed! – “she gives less shits about it” and is following instinct rather than a series of measurements and instructions. 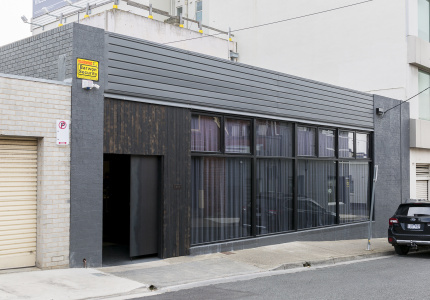 A strong sense of family, it would seem, underpins Africola, which its chef and his team aim to pass on to their diners. Despite, or perhaps because of, the adventurous nature of the kitchen, dining at Africola is a party. Spirits are high. Decibels are higher. People are having a merry time. A good chunk of the restaurant’s 65 seats overlook the heaving open kitchen or bar, generating at least a little forced intimacy between guest and staff. Seemingly unflappable restaurant manager Nikki Friedl and her team are quick to put diners at ease. Service hums with a well-judged level of familiarity that makes the family connection feel more cousins twice removed than siblings, albeit cousins who know where to find the really good booze in their parents’ liquor cabinet (in this instance, lo-fi, drinkable wines made predominantly by renegade South Australian winemakers, plus easygoing cocktails and alcoholic sodas). We like these sorts of cousins. 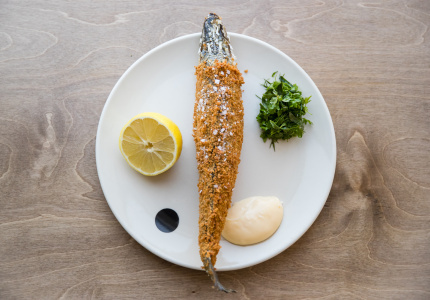 We also like it when the kitchen uses the tingly pop of finger lime to underscore the smoke and astringency of eggplant in a fine baba ganoush; ditto, when it gussies up sweet peppers by frying them in an ethereal batter stained with squid ink (committed Africola fans will already be familiar with this house speciality). For the rest of us, these pitch-black nuggets are a radical, tasty spin on tempura. Swipe them through the accompanying puddle of very good taramasalata, a sauce made with salted and cured fish roe, for full flavour points. For all this imagination, Welgemoed and his head chef Imogen Czulowski can play things straighter, too. Goolwa pippies with some of Mama Welgemoed’s fermented chilli, say, or whole sardines simply charred to highlight their latent oiliness. The strongly flavoured fish come from local waters; the accompanying zhoug, a piquant all-in of coriander, garlic and chilli, is a contribution from Yemen, another of the countries that, at one time or another, came under the loosely woven, perpetually shifting Maghreb blanket. Eating your way through the Africola menu isn’t only a masterclass in deliciousness: it’s also a primer on Africa’s gloriously diverse foodways. Remember that peri-peri? A condiment that found fame in Mozambique before going global. Chakalaka, a resourceful yet satisfying amalgamation of onions, tomatoes and curry powder, was born out of necessity in Soweto and other South African townships. Knowing this, of course, is entirely supplementary to enjoying yourself at dinner – the staff are savvy enough to suss out whether you’ll appreciate a side-salad of history with your entrees – but it’s a reminder that, in the right hands, food remains the perfect medium for sharing history lessons. 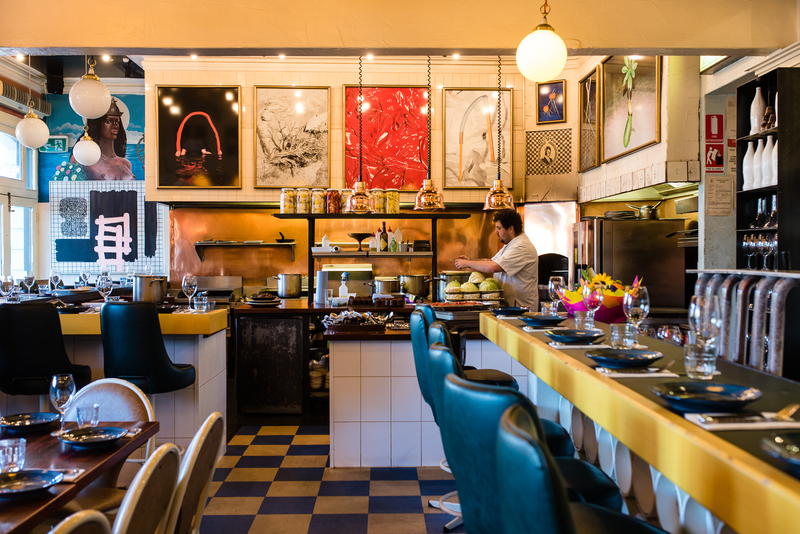 That’s not to say Africola has never flirted with “normally associated with African cuisine”. When it opened in 2014, Welgemoed – perhaps predictably – ran with the braai (the Afrikaans word for grill) theme. What was less predictable was how he interpreted the brief. Unless, of course, there are actually families across South Africa spending weekends firing up the Weber to cook a whole cow’s head and serving the thing three ways. 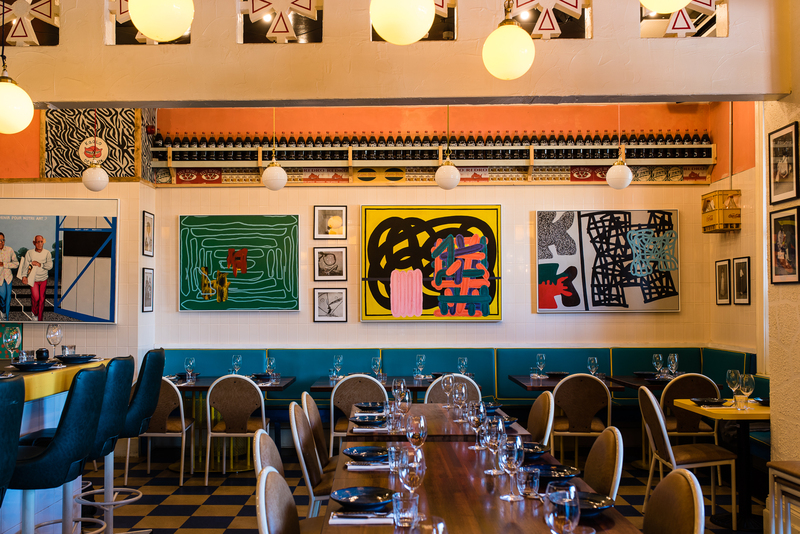 A forced closure and renovation due to fire in 2016 inspired the shift of focus from Africa’s south to its cosmopolitan north, but the menu still includes tastes of Africola’s meat-centric early days. Hummus showered with spiced lamb. That peri-peri chicken, made with free-range birds raised in the nearby Barossa Valley. 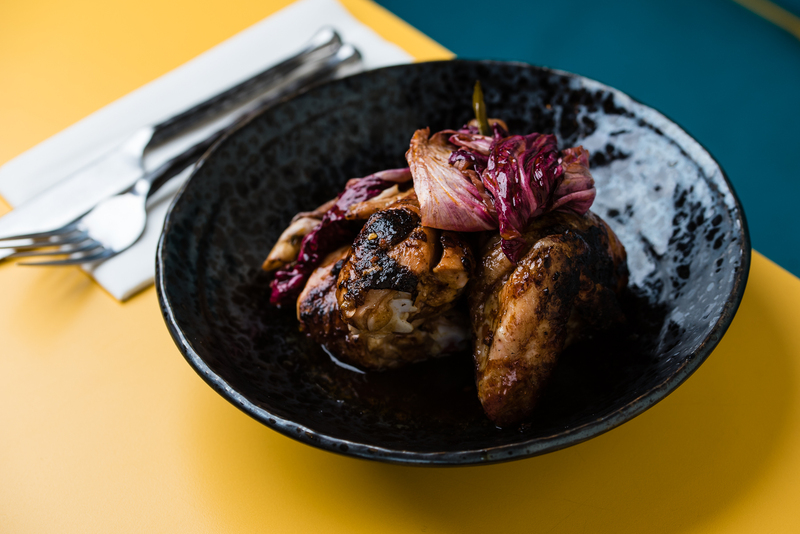 Juicy fleshed and potent with spice, it’s a win for simple pleasures, although the dish’s crowning glory might be contributing the “hot drippings” (essentially the juices released by the bird while resting) to Africola’s much-Instagrammed tea sandwich. Soft white bread. A crisp film of chicken skin. Chilli and schmaltz. Nothing but net. Yet for all of Team Africola’s stellar work with protein, it’s what the kitchen does with plant life that really marks it as a restaurant worth paying attention to. We spoke earlier, of course, about that dazzlingly good Chinese-Sardinian-African eggplant thing. You should also have the roasted half-cauliflower on your to-eat list, at least if slow-smoked vegetables cooked with no small amount of butter sound like your idea of fun. Cabbage cooked like steak (that is, napped with, again, no small amount of butter) is another sure shot, as is Brigita’s Green Bean Salad. 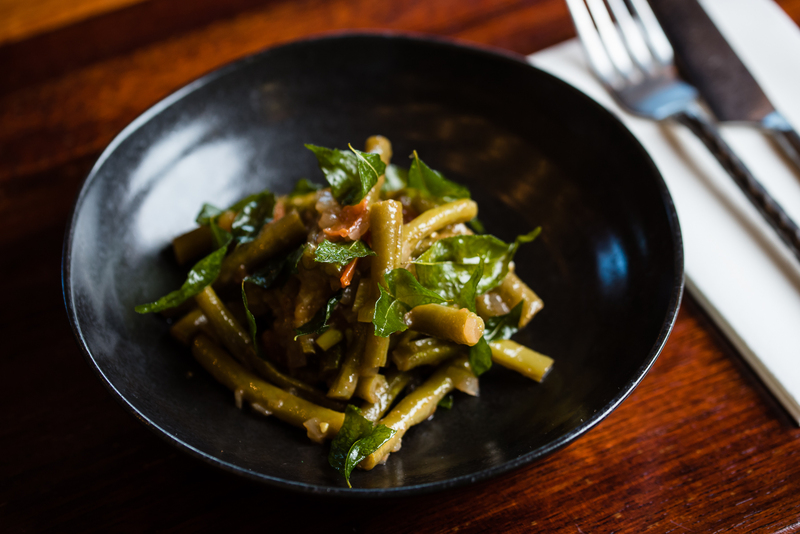 Starring beans stewed in braised tomato, sweet onion and vinegar served at room temperature, it’s a thoughtful, surprisingly bright homage to legendary ’80s and ’90s Adelaide chef Brigita Turniski. Africola’s desserts mightn’t be as cosmopolitan as the rest of the carte but are no less capable of delivering joy. Cake shaped like a flamingo and flavoured with lilly-pilly jam ticks the box for Aussie nostalgia, while a fat wedge of wood-fired Jaffa torte (the tart’s base is made using leftover sticky-date pudding trim: clever!) should stop any chocolate craving dead in its tracks. We eat in a time when so many of Australian food’s movers, shakers and bakers are based in Sydney and Melbourne. I’d be lying if I didn’t say that, on occasion, those eastern seaboarders think they have a monopoly on clever cooking in Australia (you don’t). In the context of this essay, it’s worth calling to mind the not inconsiderable contributions South Australia has made to this country’s food. While I’m not sure how I’d go about verifying the – I suspect apocryphal – claim that Adelaide has more eateries per capita than anywhere in Australia, it does seem to be a city unafraid to support blue-sky thinkers. People such as Cheong Liew, a Malaysian student-turned-chef whose work at Neddy’s in the ’70s paved the way for the mod-Asian (“fusion”) style that the rest of the world associates with Australia. 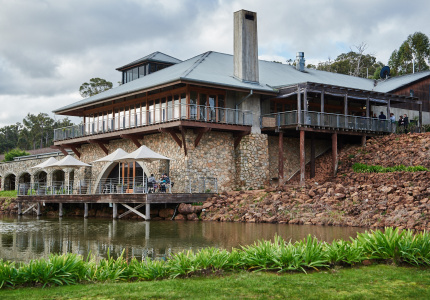 Or Maggie Beer, whose homely cooking at Pheasant Farm in the Barossa Valley was a call-to-arms for local and seasonal. And what about Scot-Sicilian Jock Zonfrillo, the Orana Foundation frontman, and an unlikely spokesperson and champion for indigenous Australian food? And now we have this raffish South African expat with deeply compelling, delicious narratives about Africa he wants to share with us, only he’s telling the story using Australian words. People seem to be listening, and they’re listening with their mouths full.